Computed Tomography (CT or “CAT” scan) combines advanced computers and x-rays to create highly detailed cross sectional computer generated images of body parts and internal organs in order to detect different disease processes. The exam usually takes about 15-20 minutes and is painless. It can be utilized to detect and diagnose a wide variety of medical conditions and abnormalities of nearly any body organ. It is a primary diagnostic tool for early detection of tumors, infection, inflammatory conditions, stroke, obstructions, trauma and kidney stones. 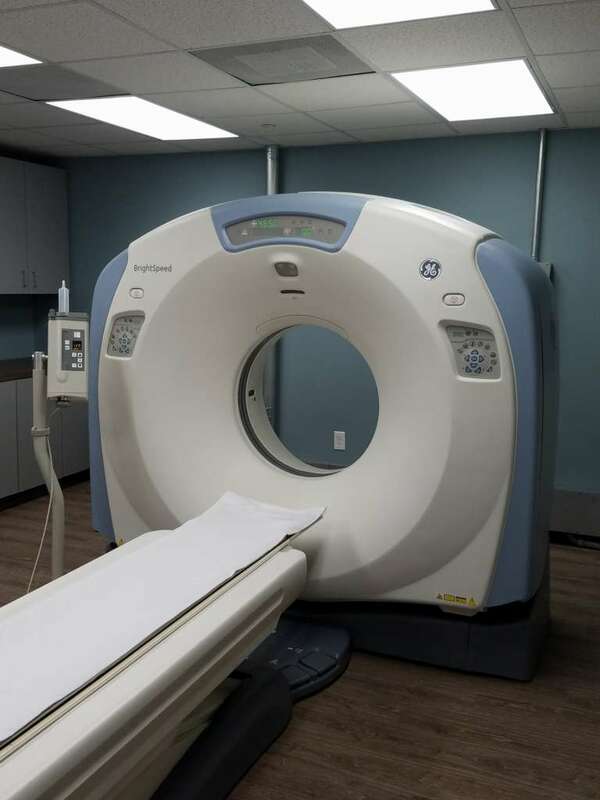 These examinations are performed by certified x-ray technologists, and every examination is directly supervised and interpreted by board certified radiologist.